Landing all 6 numbers will be your aim if you decide to play Washington Lotto. Should this be achieved by a player then the rewards can be huge. 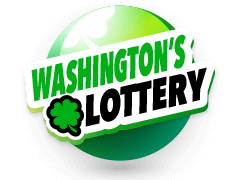 This is due to the starting point of the jackpot for those who play Washington Lotto. It’s very beginning mark is a staggering $1 million! Thus any outright winner will be 7 figures richer in a heartbeat. Jackpots can build rapidly in this game as those who play Washington Lotto will know only too well. With 3 draws per week rollovers can come thick and fast creating fantastic prizes at the top end of the pool. If you do opt to play Washington Lotto then don’t think the game is all about the magnificent jackpot, excellent prizes go to players lucky enough to land 5 numbers and there are also wins available for both 4 and 3 numbers being correctly selected. The format of this draw will be well known to many lottery players with it being the traditional 1 to 49 draw and if you play Washington Lotto you will be asked to select 6 numbers from that range. We’ll always have the latest results of this draw on our website so can check to see if you’ve been lucky in the last draw you played.